This fabric is perfect on either side, just more black or more white! Perfectly sized 17" x 17" pillow cover shown stuffed with an 18" x 18" pillow insert, for pleasing plumpness! Square Sizes Available: MORE AVAILABLE, Just Ask! Lumbar/Rectangle Sizes Available: MORE AVAILABLE, Just Ask! 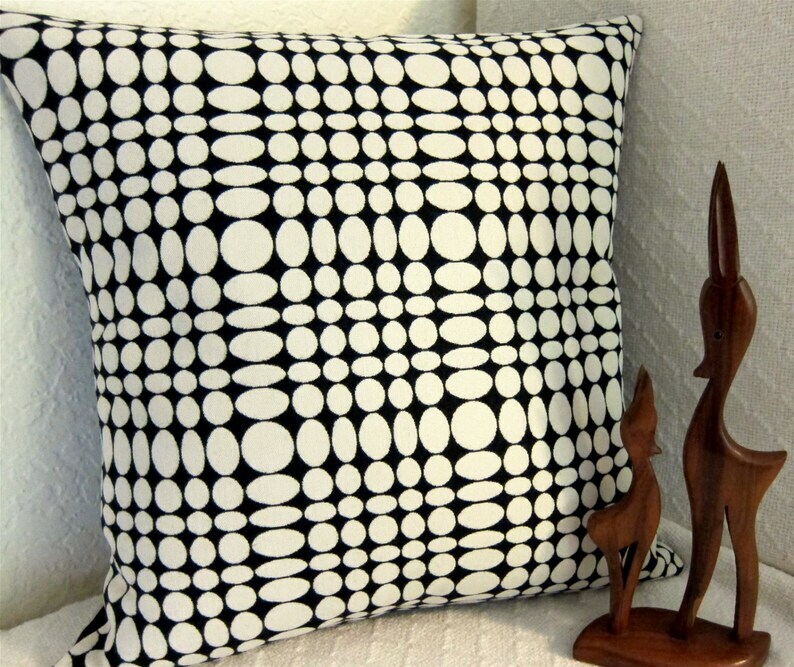 Reversible -- Black dots on off-white OR Off-White dots on Black -- YOU DECIDE! All My Pillows are Created in My SMOKE-FREE/Pet-Free Home!